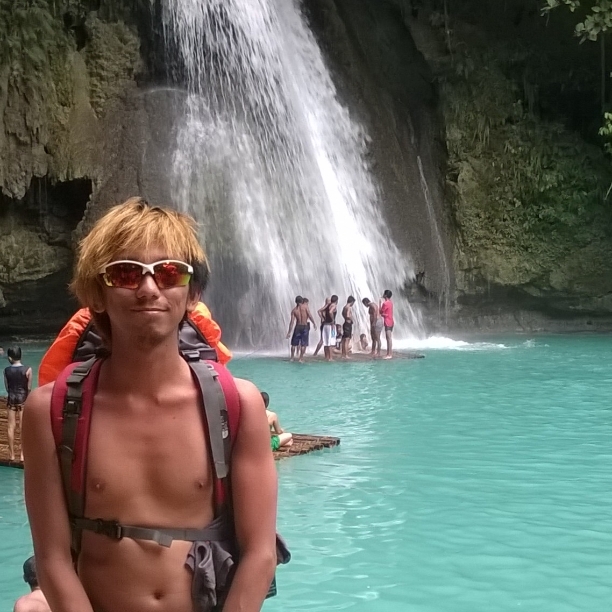 Kawasan Falls is an unspoiled beauty of nature found in the Municipality of Badian of the Cebu Province. This serene natural wonder is where you can enjoy many waterfalls that offers natural spring water just near the southern tip of Cebu in the Philippines. There are several ways to visit Kawasan falls— Dumaguete (via Lilo-an, Bato or Santander), Cebu City, Bacolod City (via San Carlos-Toledo). ***Airfares to Cebu, Bacolod and Dumaguete are subject to Airline Regulations. If you choose Lilo-an (Fastcraft), you can wait for a Ceres bus that goes to Bato Terminal, either free or PhP 20.00 (depends on how good you are with bargaining). There is a trip via South Bus Terminal that can take you directly to Kawasan (Badian) via Alegre or Moalboal. From the Ceres Bus Terminal, select the bus that goes to San Carlos City. Take the barge/fastcraft terminal to Toledo City, Cebu. Choose the bus that goes to Bato and ask the driver to drop you off at Kawasan Falls. I have no information about the fare from Bacolod to San Carlos including the Ferry that will that you to Toledo City. But from Toledo City to Badian, it should be from PhP 70-80.00/one way. Hi, I would like to ask regarding the route from Bato to Kawasan. Where the bus stop or should I tell the driver I want to stop at Kawasan Fall or nearby station? Sorry for being unresponsive. This website is currently being re-hauled as it was hacked several months back. If you are already in Bato (most likely you will be at the bus station in Bato), you can ask the local tricycle or habal-habal (single motor) driver to take you to Bato Terminal. Once there, just tell the driver or his assistant to drop you off at Kawasan Falls. It will only take less than 45 minutes to reach your destination. Do you know how to go to Dumaguete from Kawasan Falls? Like can we hail a bus along the road or is there a bus station in Badian? You can ride any bus, I would suggest Ceres, and ask the man in charge to drop you off Bato. Then from there, you can ride the ferry that takes to you Tampi in Amlan. From there, you can ride another bus from Amlan to Dumaguete.